Six countries have confirmed their interest in hosting the 2021 Women's Rugby World Cup - Australia, England, France, New Zealand, Portugal and Wales. Those countries have formally confirmed their intention to tender and have until August to submit a final bid. The decision will be taken in November. Wales held the first Women's Rugby World Cup in 1991 - although the IRB did not sanction an official tournament until 1998, while England hosted in 2010 and France in 2014. It was England's tournament in 2010 that introduced the model that has been so well followed since - one single pool venue before moving to a bigger stadium for the knockout games. New Zealand or Australia would seem to be two strong contenders given they have never hosted and given their renewed interest and investment in their women's games. However World Rugby will be mindful that the last three European tournaments have been a huge success with crowds and audiences and the timezone and the impact that will have on numbers and broadcast audiences will be a factor. The IRFU are said to have spent €1.5 million to deliver the last World Cup with the total cost of the tournament costing in the area of €4 million with supplementary funding being provided by World Rugby, the Irish Government and council funding, partnerships, ticket revenues and sponsorship. What nations say about their revenue streams in their final bids will be a key part of the decision making. Portugal are a left field contender given they have only ever played one test match in 15s and that was in 1995. They have been building their club game in recent years, and recently launched an annual showpiece match between their league champions and the Spanish league champions. They are much better known for their sevens activity - they caused a major upset during the Olympic qualifiers by beating the more experienced Dutch team - and their bid may say more about their plans to grow their women's game, than their expectation of actually winning it. 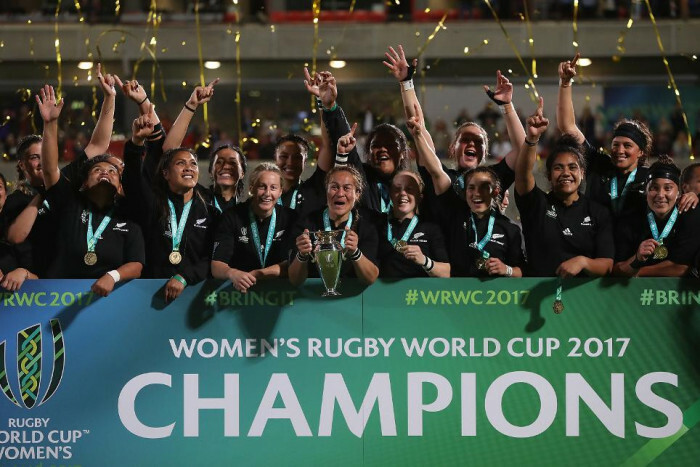 World Rugby Chairman Bill Beaumont said: "We are delighted with the record level of Women’s Rugby World Cup 2021 hosting interest from unions, which reflects the significant global excitement and momentum behind the women’s game. The six unions are being issued with the bid documents and now have until 10 August 2018 to submit their bid responses. The World Rugby Council will select the Rugby World Cup 2021 host at its interim meeting in Dublin on 14 November 2018.